The Empty Creel Lodge is now available for use by our fly fishing clients. Check out the other photos in the “Gallery” section of the website. Located next to the Little Red River there is walk in access to one of the largest and best wading shoals on the entire river along with a beautiful view of Sugar Loaf Mountain. 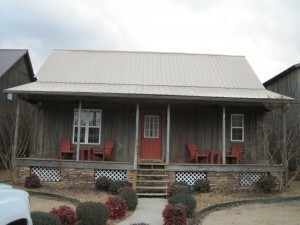 The lodge has king and queen sized beds and can accommodate up to four anglers or two couples. There Is HD television and a great place to tie flys. We have plenty of parking and an outdoor area to work on your fly casting. 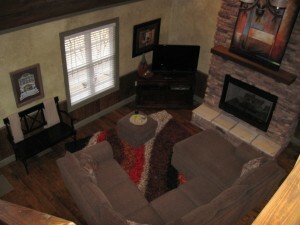 Our clients will find our lodging rates the best value on the river and we can also provide meals. Just give us a call at 479-459-7071 for lodge reservations and book a guide trip with Empty Creel Fishing Guides and Outfitter. We look forward to fishing with you!